€607.07+ White RGB Phanteks P400S Tempered Glass Build for the better half. 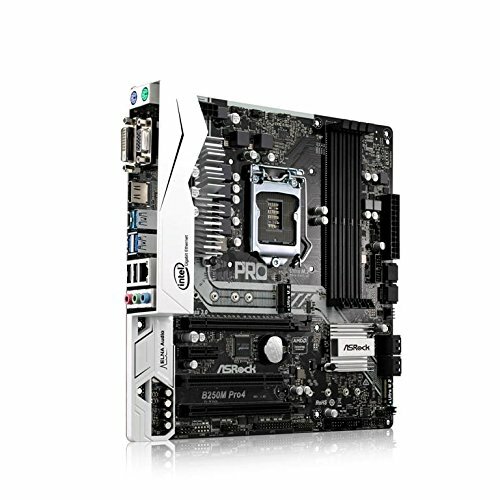 Cool looking mobo with 4 2400 RAM slots (up to 64GB). My only complaint is the the main PCIe 16 slot is too close to the PCI express slot, so I had to put the wifi adapter in the other PCIe 16 slot. It worked out though. Great features. I like the easy mode for the UEFI. Only complaint would be it comes with only 2 Sata cables. 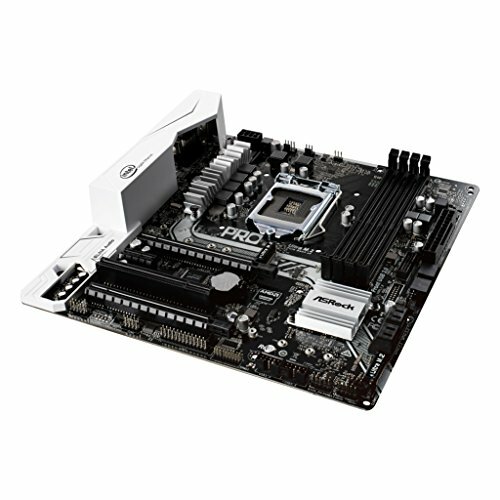 Cheap MOBO that get's the job done and was recommended to me but no overclocking. Great Motherboard, no problems so far. This was the only motherboard of the B250 chipset I found with I/O housing, which looks pretty and is plenty durable. 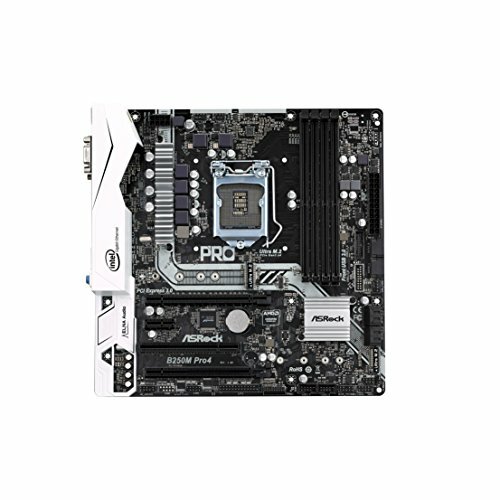 The mobo itself is great for setting up a black/white aesthetic. 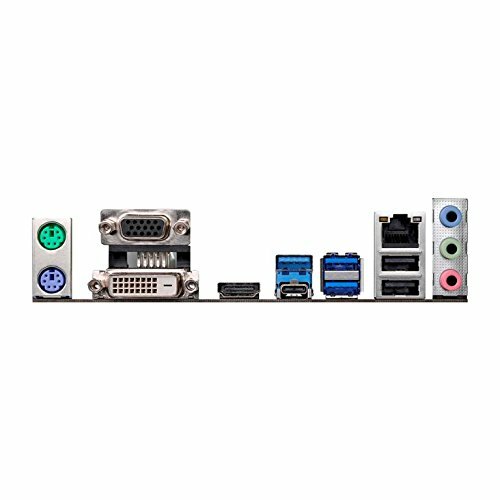 It has plenty of USB 2.0 and 3.0 ports for all your peripherals, and even a 3.1 port if you've got something that uses it. This was incredibly easy to work with and is a fantastic choice for a first-time builder. The BIOS is nice and easy to use as well with great features. 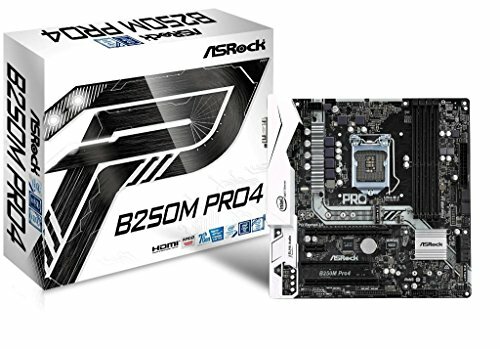 This is a very good motherboard, because not only is it 10-15 dollars more than an entry level b250 board but it is also ascetically pleasing. Is ok. Backplate covered the hdmi first time, had to bend it back and now it doesn't look as nice... Also it would be nice e to have more usb 3.0- or actual usb 3.1. Usb 3.0 C doesn't make the most sense to me... Other than that, the IO cover on the board is nice. It's a nice board for the price. East BIOS menu. Easy OS install. Everything was intuitive. The manual and documentation were fantastic. If you don't intend to overclock your CPU, this thing is perfect. One of the best micro-atx motherboards for Intel 1151 lga cpu.